"Iran’s nuclear energy activities continue as in the past," says senior Iranian parliamentarian. Senior Iranian lawmaker Alaeddin Boroujerdi said on Saturday Iran is continuing the enrichment of uranium to the 20-percent purity level, reported Iran's official PressTV. Iran’s nuclear energy activities continue as in the past, said Boroujerdi, who is the chairman of the National Security and Foreign Policy Committee of Iran’s Majlis, or parliament. 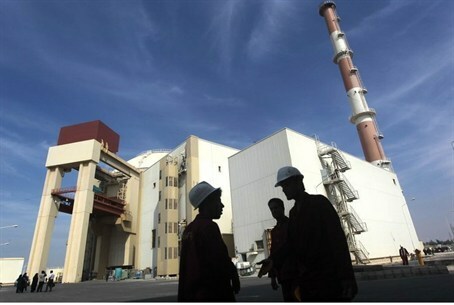 Iran decided to enrich uranium to 20% purity "to provide fuel for the Tehran Research Reactor, which produces medical isotopes for cancer patients, after potential suppliers failed to provide the Islamic Republic with the required uranium," explained the Iranian news site. “During the talks with the P5+1, the Islamic Republic of Iran called for the recognition of its nuclear rights and the lifting of sanctions [against the country]. We should wait for the outcome of these negotiations,” Boroujerdi said. Meanwhile, Israel's deputy defense minister, Danny Danon, issued a warning to Iran in an interview. "We have made it crystal clear – in all possible forums, that Israel will not stand by and watch Iran develop weaponry that will put us, the entire Middle East and eventually the world, under an Iranian umbrella of terror," Danon told USA TODAY. Iran is developing and installing new and advanced centrifuges that enable Iran to turn even low-enriched uranium to weapons grade uranium within weeks, Danon said. "This speedy enrichment capability will make timely detection and effective response to an Iranian nuclear breakout increasingly difficult," he said. On Friday, diplomats accredited to the International Atomic Energy Agency (IAEA) said they had no information that Tehran has halted its enrichment of uranium to a 20 percent. An envoy in Vienna, where the IAEA is based, said he believed Iran was continuing to refine uranium to the 20 percent threshold. The remarks were in response to comments Wednesday by an Iranian lawmaker, Hossein Naqvi Hosseini, who was quoted by an Iranian news agency as having claimed that Tehran does not need any more 20 percent-enriched uranium and that Iran was willing to relieve concerns over its stockpile of enriched uranium. Iran and the five permanent members of the UN Security Council – Russia, China, France, Britain and the US – plus Germany held two days of negotiations over Tehran’s nuclear energy program behind closed doors in Geneva, Switzerland, on October 15 and 16. The two sides agreed to meet again in Geneva on November 7 and 8. Iran’s top nuclear negotiator, Abbas Araqchi, said on Thursday that nuclear and sanctions experts from Iran and the six world powers are to meet in the Austrian capital, Vienna, on October 30 and 31 in the run-up to the upcoming nuclear talks in Geneva.